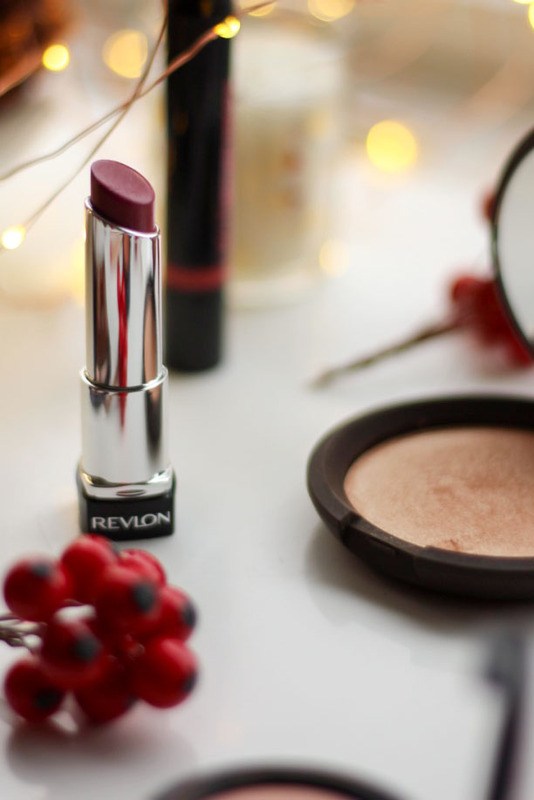 This time of year is filled with festive joy, fairy lights and beautiful sparkly glittery makeup. The festive season is pretty much the only time of year where dousing myself (and everything around me) in glitter is socially acceptable. 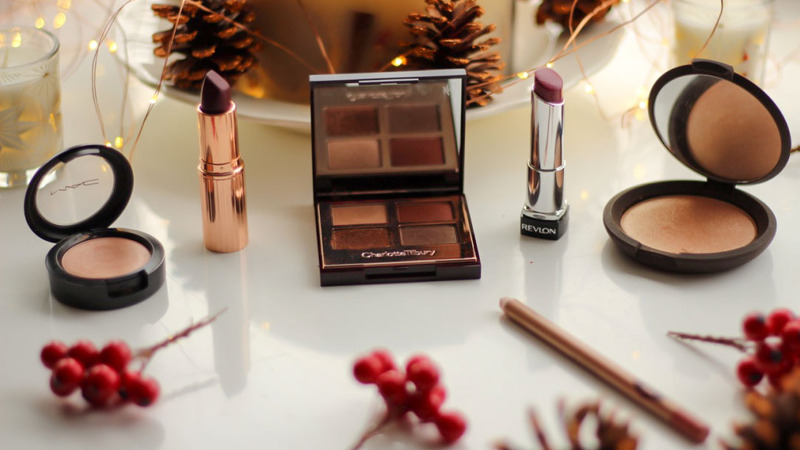 Today I'm sharing my favourite festive makeup picks for the party season. I know I always harp on about these, but I find the formula so easy to wear and use. They sit really well on the skin, and look really natural. If you're going for a dramatic eye or bold lip, subtle blush is the way forward. My favourite shade is Mood Exposure which is a natural mauve. It goes with everything. These blushes have a very soft shimmer running through them so they catch the light beautifully. 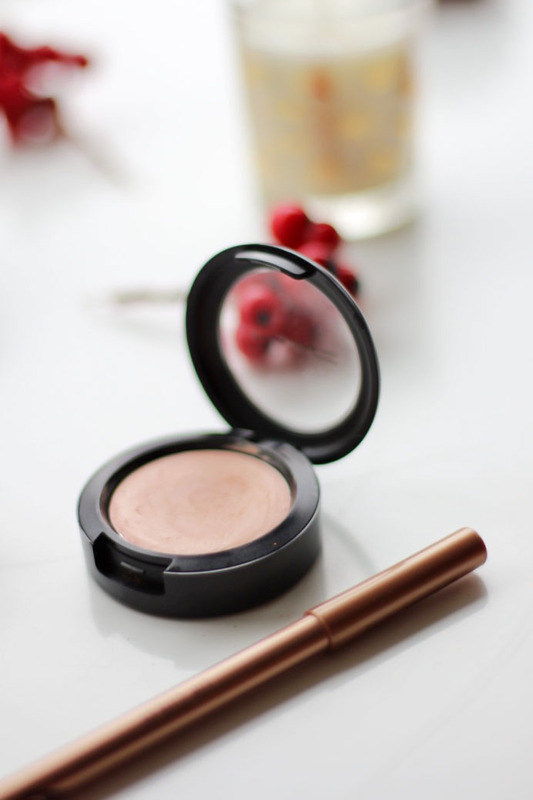 This pretty peachy cream highlight is underwhelming in the pan, but phenomenal on the cheeks. It's got a lovely dewy finish that looks stunning, especially paired with my next recommendation. I love this intense peachy golden powder highlight. It's so eye catching and in your face. And yet, it's not at all overwhelming. It never looks out of place, whatever I've decided to do with my makeup. The Dolce Vita palette is pretty much Christmas in eyeshadow form. The red tones and the rich golden glitter are perfect for this time of year. Try applying the glitter damp to really amp up its sparkle. I never really bother with lip liner unless it's a special occasion. Pillow Talk is just perfect though. It's a natural pink mauve that emphasises the lips. 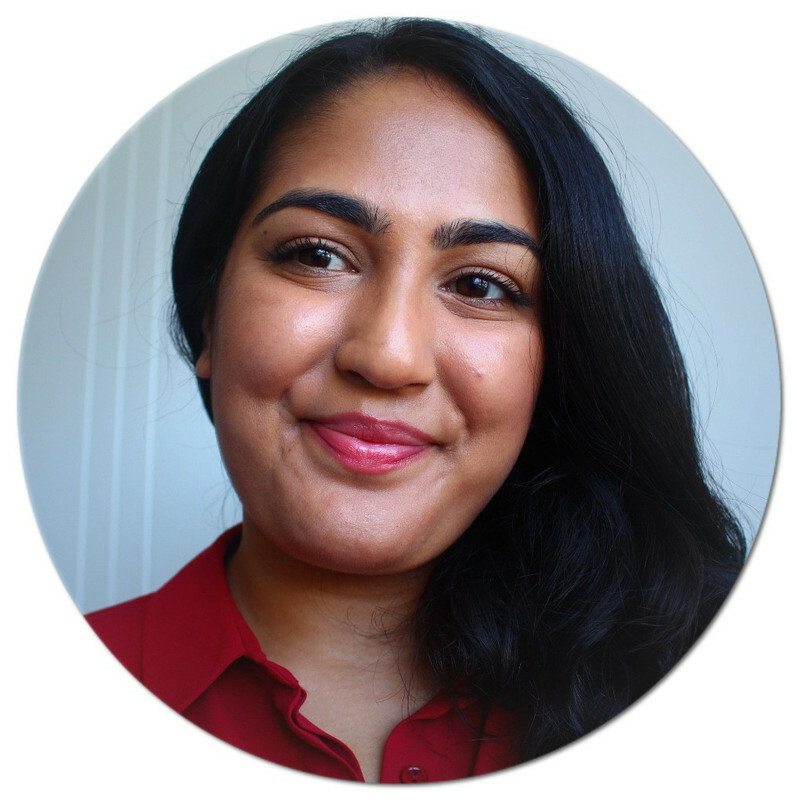 You can really cheat a fuller pout and it works well under other lipsticks and glosses. This lipstick pairs well with every look. If I'm going for a dramatic glittery eye, this is the perfect lipstick to wear because it adds a hint of colour, without taking away from the main event. It looks amazing with Pillow Talk too. Both of these lip crayons are gorgeous 'my lips but better shades.' They add amazing volume to the lips, without being too much. They also work well layered with my previous two products. I had to include a bold lip for the festive season. And for that I had to go with Glastonberry. It's a beautifully dark and luscious berry. 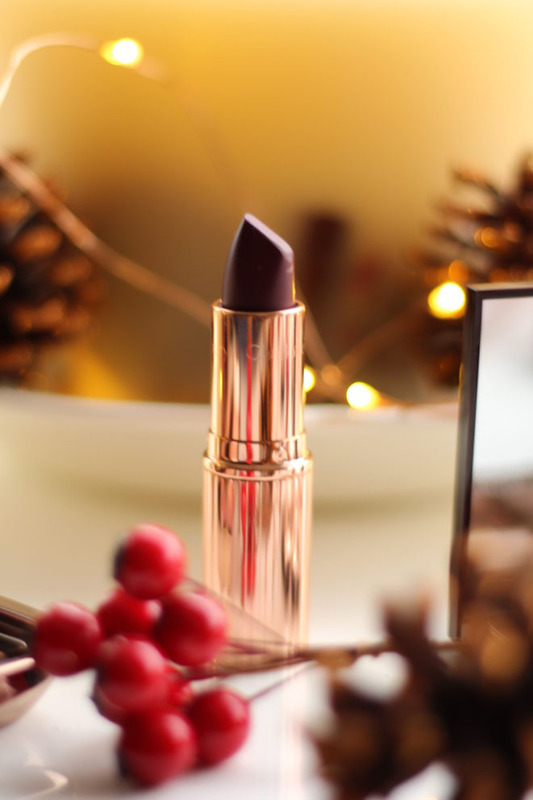 It's winter in a lipstick. Although it is matte, it's not drying and is very comfortable on the lips. So that's it for my final Christmas post. I won't be posting on Monday, but I'll be back with a new post on Friday. Don't forget to check out my other festive posts! I've done one on my favourite Christmas films and my cosy festive night in essentials. 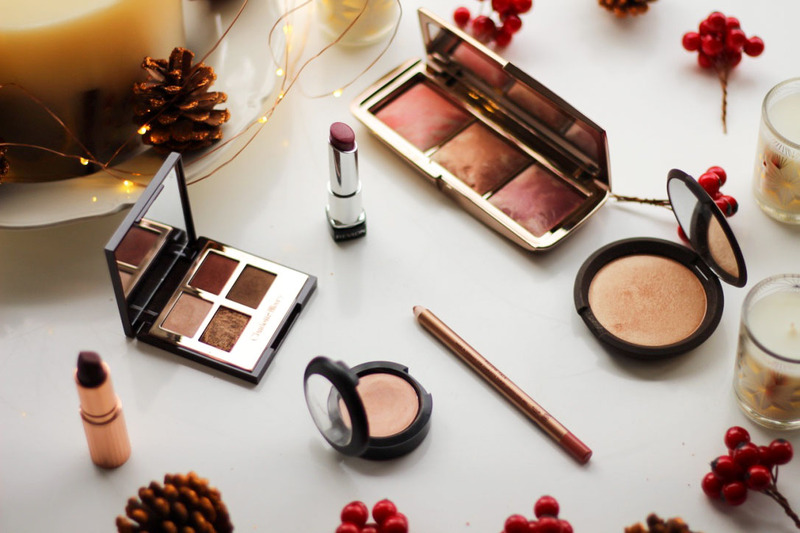 Champagne Pop and the Hourglass blush palette are both products I plan on using on Christmas day :) the Dolce Vita is the perfect party eye look too :) great choices!